Remove the exhaust manifold with catalytic converter. 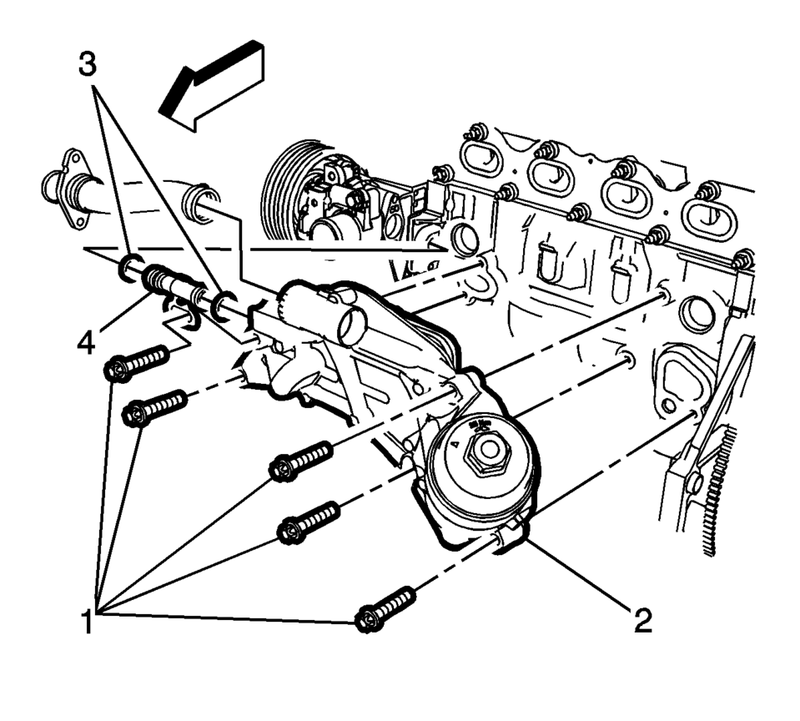 Refer to Exhaust Manifold with Catalytic Converter Replacement. 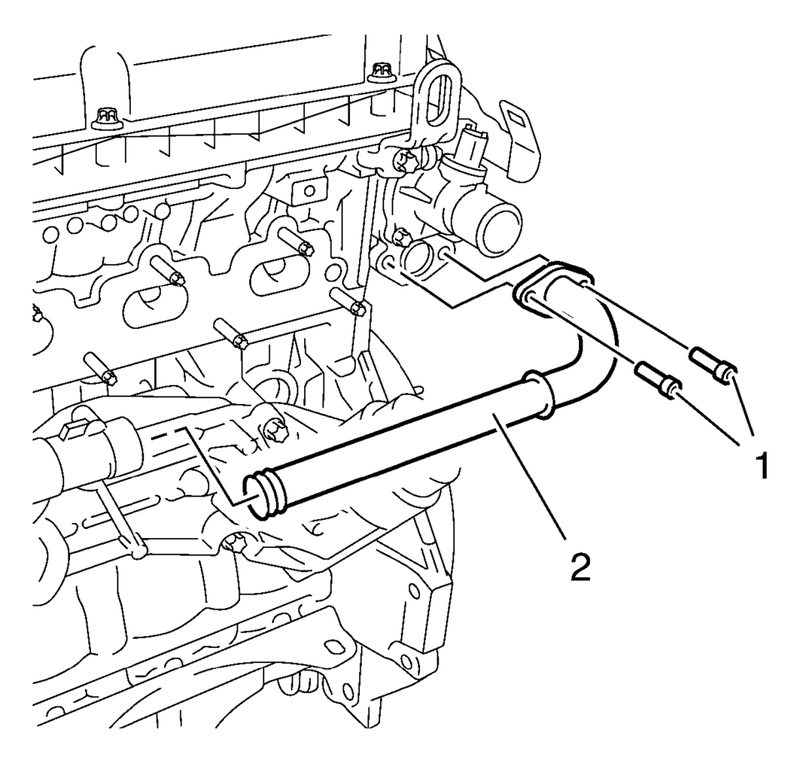 Remove the engine oil cooler pipe bolts (1) and the engine oil cooler pipe (2). 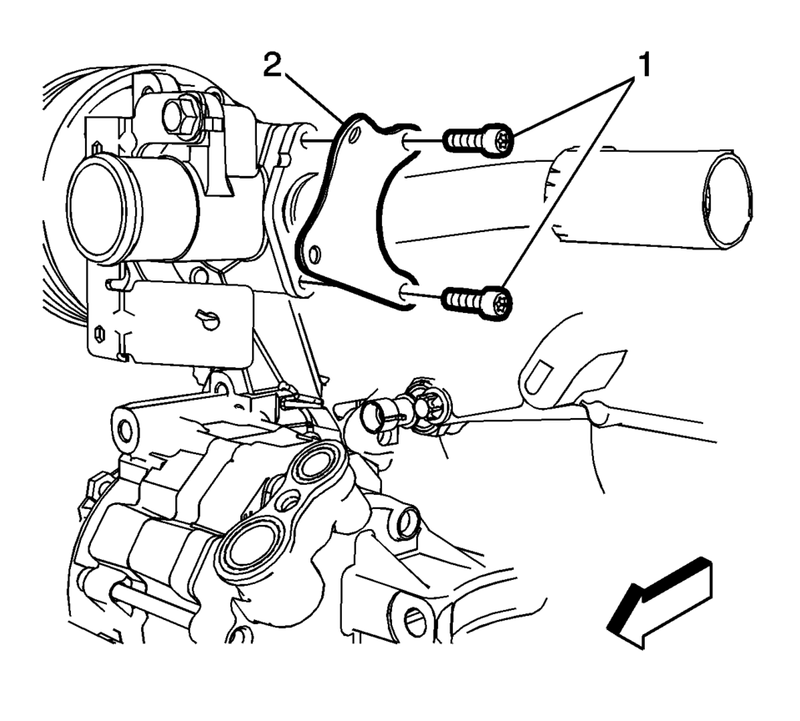 Remove the engine oil cooler outlet pipe bolts (1) and the engine oil cooler outlet pipe bracket (2). Remove the engine oil cooler assembly bolts (1) and remove the cooler (2). Remove the engine oil cooler inlet pipe (4) and seals (3). Replace the seals on the engine oil cooler outlet pipe and the engine oil cooler pipe. Install the engine oil cooler inlet pipe (4) with NEW seals (3) to the engine oil cooler assembly. Position the engine oil cooler assembly (2) to the engine block. Install the exhaust manifold with catalytic converter. Refer to Exhaust Manifold with Catalytic Converter Replacement.